Congratulates Payport, The Clinician and Enring for winning 2017 NKC Semi-Final top 3, well done teams! For the competing teams on NKC Semi-Final Round 28 July 2107, it was clear to see why they came through as the top six. Each team has successfully managed to transform diverse cultural backgrounds into global perspectives, networks and intelligent strategic businesses. Through unique visions that is made to target specific or multiple pain points in the industry, the teams have done well by identifying areas for improvements and innovation. Picking a winner will be a challenge since they are all innovative leaders in their own right. Only time will tell which team will be rise on top and secure the prizes to fund and support the future growth of the business. Either way, bravo to the six teams who stood out boldly as game changers and ones to watch. After intense discussion among all judges, the top 3 team list is announced to the audiences: Payport, the Clinician and Enring. Payport, a New Zealand company applying sharing economy concept in logistics industry, is highly regarded by Judge Panel as ‘A New Zealand with strong management team, genuine customer traction and company solid market value proposition’. Judge Panel is also impressed by Enring team’s solid understanding of cross boarder E-Commerce in China and their unique Social-media based CBEC solutions offering to solve pain points of the market. The Clinician, a Healthcare IT company with a focus on driving better care outcomes while improving medical services provider`s efficiencies and costs, showcased us three ‘A’ of the company: A successful international market validation, a booming global healthcare marketand an experienced team with solid medical and IT background. Let’s look forward to all three teams’ excellent performance in the 2017 New Kiwis Challenge Final Evening at 25 August and the crowning of the challenge winner will take place on the spot. Please click the following link to reserve an invitation. Envisage AR develops augmented reality authoring tools which produce easy to use interface that allows non-programmers to quickly create 3D augmented reality scenes from their own models, images and multimedia content. Envisage is available for Windows 7 & 10, with both markerless and marker-based tracking. Envisage’s founder and CEO Mark Billinghurst had 20+ experiences in Research and commercializing field of AR, he is also a frequent speakers in industry conferences around the world. The CTO, Huidong Bai, originally came from China and pursuing his PHD studies in University of Canterbery, also had extensive experiences in Mobile AR field. Huidong has also played key role on business development for the company in the China market. Enring provides Social Commerce, marketing and payment solution for business clients, such as retailers and CBEC exporters. By implementing advanced CRM systems based on social media channels (Facebook Messenger and WeChat), Enring/s business clients are now able to gain sophisticated user behaviors insights and serve customer with artificial intelligence applications. Plus that, Enring also provides Internet marketing and payment services to clients such as creative and media-buying, digital distribution channels solutions and social/content marketing and FX payment services collaborating with Wechat Pay and Pay Express. Before moving to New Zealand with an entrepreneurship visa in 2014, Rock had 17 years IT product development and IT business development experiences in China, serving clients/companies from a wide range of industry including military, government, bank, insurance, intellectual property company etc. Pictor’s mission is to provide a complete immunodiagnostic solution for those regions of the world with the highest disease burden. PictArrays™, is a proprietary immunodiagnostic technology that enables testing of blood for a number of diseases from one drop of blood. PictImager™, is a low-cost reader and Pictorial© data analysis software has been specially developed to rapidly obtain test results. Parcelport is the largest courier company in New Zealand by vehicle number without owning any vehicle. Parcelport aggregates all these sales channels and delivery channels for Ecommerce business. Enables users to print courier tickets on demand, managing dispatching and tracking in one account in one streamline and automated process. Parcelport will also be rolling out a number of post shops throughout the country, offering extended opening hours, this also created opportunities for store owners to generate extra revenue from their existing stores and customer base. Parcelport is ranked 170th in the latest Deloitte Fast 500 index, of the 500 fastest growing technology companies in the Asia Pacific. Key management personnel of Payport all came from well-known IT and Logistics companies such as New Zealand couriers, China Post and Brunswick. The Pictor founders, Dr Sarita Kumble and Dr Anand Kumble obtained Ph.Ds in India and then did post-doctoral work at Stanford. Anand and Sarita have significant experience in microarray and multiplex technology product development. Virtual Capital is a collaboration of 2 entrepreneurs who have dealt with the real-world trials and tribulations of the world of tech start-ups. Janitha and Lasith, both graduates of Auckland University teamed up while driving separate start-ups to turn their pain points in to a solution for other tech start-ups. Virtual Capital are specialists in developing “Multi-Vendor” and ‘On-Demand” platforms for businesses looking to grow online. VC also has a library of pre-built modules which are the key building blocks for platforms which allows our customers to go live faster. Virtual Capital have also partnered with selected clients across Australia and New Zealand to not only build the technology, but to also support them to go online faster and more efficiently, and in turn taken equity inside these businesses. Meaning an investment in Virtual Capital isn’t simply an investment in one start-up but a portfolio of start-ups. The Clinician Ltd is a Health IT company with a focus on driving better care outcomes while improving organisational efficiencies and reducing costs. With offices in Singapore and New Zealand the company is rapidly gaining recognition in Asia-Pacific as a first mover in its vertical. Founder and CEO Dr. Ron Tenenbaum is a technologist clinician with Neurosurgical training, research background and global experience, who has managed product development of forerunner cloud companies and projects for medical institutes for over fifteen years. Top 3 team would also gain the opportunity to pitch on the ICE Angles Investment Evening on 10th August. New Zealand is a culturally diverse land with new Kiwis coming from different part of the world every year. While there are many ways to start the professional footprint in New Zealand, there has been a huge gap for new kiwis to take on entrepreneurship. It may be caused by the intimidation of the new environment, lack of access to capital funding for the business, or understanding of the New Zealand start-up ecosystem. 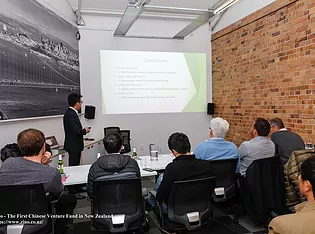 Zino Ventures has seen cases like new Kiwi founders/CEOs of New Zealand listed company seeking funding from their home countries, and highly educated professionals not having the opportunity to start their dream start-ups due to visa restrictions. This is not only a waste of talents for the economy but also a loss of good investment opportunity for the domestic investors. 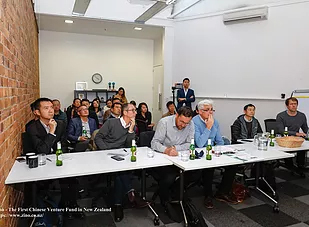 To encourage more new Kiwis to take on entrepreneurship, Zino Ventures has designed a nationwide start-up challenge with sponsors including The Icehouse and ICE Angels, Uniservices and Alibaba Cloud. 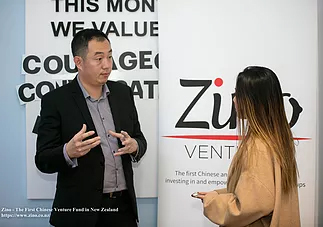 Being the first Chinese Angel Fund in New Zealand, Zino Ventures wants to leverage its network and expertise of investors to enable investee start-ups to take on China’s market. The competition will be running for 2 months, with the final selection in August 2017 at the New Kiwis Challenge Final Night. Top 3 teams would also have the opportunities to present in the ICE Angles Investment night pitch event. 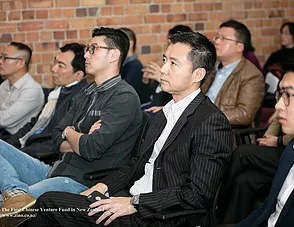 This challenge is targeted at new Kiwi-led start-ups who have at least one immigrant in the founding team, and preferably, the start-up has the ambition to take on the Chinese market. You should be running a for-profit start-up with a global vision, and preferably eyes on the Chinese market. The startup will have a scalable product or service, proven customer base – albeit small – and a validated business model. While the prospect of being an export capable business is attractive, also important is an advantage over the competition – be it expertise and experience of management, deep capability of the team or intellectual property. Winner of the 2017 New Kiwis Challenge Final Evening!